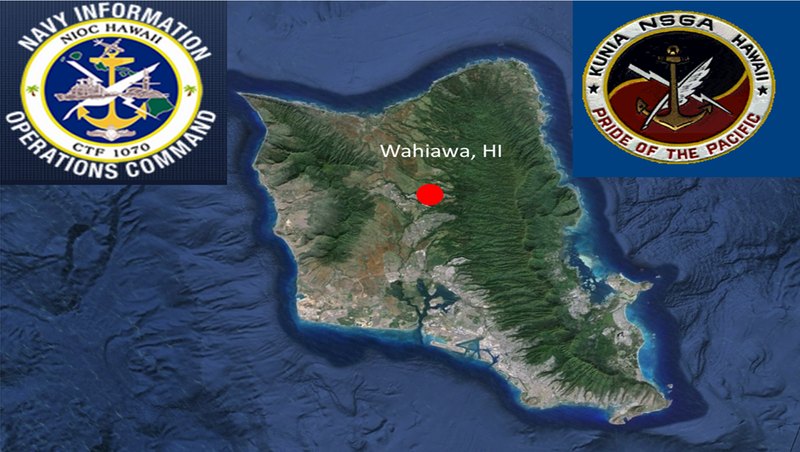 In January, 1980, Congress approved project funding to begin the activation of Field Station Kunia under U.S. Army control. An Advance party of Naval Security Group personnel was established with the stand-up of the Kunia Field Station in January, 1980. Operations began in November, 1980, and the U.S. Naval Security Group Activity, Kunia was established and commissioned on November 14, 1980. The soldiers and sailors who worked in, and supported the field station were housed in a barracks on Wheeler Army Air Field, pending approval of funds and construction of billets on Schofield Barracks. Construction of the modern air conditioned barracks and dining facility was completed in 1986. By April, it was occupied by the soldiers and administrative offices of the two battalions. In order to reflect the change to a more “joint” mission, Field Station Kunia was redesignated the Kunia Regional Security Operations Center (KRSOC) in August, 1993. The Kunia Regional Security Operations Center (KRSOC) is a Joint tenant unit that performs a real-world strategic intelligence mission primarily in support of U.S. Central Command and U.S. Pacific Command. The KRSOC is an element of the U.S. Cryptologic System. The KRSOC is manned by personnel from the U.S. Navy, U.S. Army, U.S. Air Force and the U.S. Marine Corps, along with Department of Defense civilians. The installation lies approximately 15 miles west of the city of Honolulu and ten miles south of the world famous North Shore of Oahu. There are only three such units worldwide, GRSOC at Ft. Gordon, GA (Army), MRSOC at Medina, San Antonio, TX (Air Force), and KRSOC at Kunia, HI (Navy). The field station changed hands once again in October 1995, when possession of the tunnel was again handed over to the Navy. Although it is still referred to as the KRSOC, it was in the hands of the Naval Security Group Activity, Kunia. Direct cryptologic support provided by regional assets continues to be key to intelligence production in the Pacific. While required renovations have continued throughout the last 20 years, the KRSOC is an aging facility, built in 1945 and renovated for cryptologic operations in 1979. Naval Security Group Activity Kunia was officially commissioned November 14, 1980, at Wheeler Air Force Base, to serve as an integral member of the worldwide U.S. communications network, and to provide radio relay and secure communications for the defense of the U.S. and its allies. NSGA Kunia provided cryptologic personnel, information, communications, and engineering installation services to support Pacific Theater and National warfare requirements. NSGA Kunia provided host support services to the Kunia Regional Security Operations Center. Marine Cryptologic Support Battalion (formerly Marine Support Battalion) Company I was co-located with NSGA Kunia, and still resides at Schofield Barracks. U.S. Naval Security Group Activity (NSGA) Kunia and the U.S. Naval Security Group Activity (NSGA) Pearl Harbor merged commands in a ceremony September 30, 2004 at the USS Nevada Memorial, in Pearl Harbor, HI. NSGA Pearl Harbor was officially disestablished, and the U.S. Naval Security Group Activity (NSGA) Hawaii was commissioned. On September 30, 2005, NSGA Hawaii was administratively closed and was re-established on October 1, 2005 as the Navy Information Operations Command (NIOC) Hawaii, Schofield Barracks, HI. On August 30, 2007, the National Security Agency, Central Security Service (NSA/CSS) located in Kunia, Hawaii, held a groundbreaking ceremony for the new Hawaii Regional Security Operations Center at the Naval Computer and Telecommunications Area Master Station Pacific, located in Wahiawa, Hawaii for a 250,000 square feet state-of-the-art facility. On January 6, 2012 this new facility was named the Joe Rochefort building, to honor CAPT Joe Rochefort and the work that he and Station HYPO did during WWII. Schofield Barracks and Wheeler Army Airfield is nestled at the foot of the Waianae mountain range in central Oahu. The installation has 112 miles of breathtaking pristine coastline and a lush rainforest. Schofield Barracks is located near the city of Wahiawa, HI. The installation is located a few miles from the towns of Wahiawa and Mililani; and 17 miles west of Honolulu. Schofield Barracks is the largest Army Base outside the Continental United States. Schofield Barracks is home to the 25th Infantry Division and Army Garrison. There are over 10,000 active duty and 25,000 dependents, reservists and civilians who call Schofield Barracks home. In 1872, Maj John M. Schofield, Commanding General of the U.S. Army’s Pacific Division, visited the Hawaiian Islands to determine the defense capabilities of its ports. He concluded that a harbor could be formed at the mouth of the Pearl River and that it could be easily defended. After the 1898 annexation of Hawaii by the U.S., military forces started moving to the islands. The Leilehua Plain saw a temporary camp in 1905 for the Organized Militia, which later became known as the National Guard. Since the Army’s role in Hawaii was to guard the Navy while in port, Leilehua’s central location was ideal for rapid deployment to all of the islands coasts. Although there was a small population of Army on Oahu, the first deployment of cavalry troops provided the push needed to start a permanent Army post. The first two squadrons of the 5th Cavalry Regiment arrived in November 1908 and were following in December by Captain Joseph C. Castner, who made the plans and started the development of today’s Schofield Barracks. In April, 1909, the War Department named the post Schofield Barracks after Lt Gen John M. Schofield. The name most often used in the area was “Castner Village”. The Secretary of War approved plans for construction and troop build-up at Schofield Barracks in 1911. The plans called for five infantry regiments, and one each of cavalry and field artillery. Those plans were later altered but permanent quarters were needed for the four regiments already on post. The first permanent structures on post, which still exist today, were the quadrangle barracks. When all of Schofield’s troops were called to war in 1917 the Hawaiian National Guard moved in and after the Armistice was signed in November 1918, they began beautifying the post. Many of the large trees seen on Schofield Barracks, including the Norfolk Pines, were planted by the National Guard. Construction which was postponed during the war was resumed in the early 1920’s. An extension of the Oahu Railway and Land Company railroad was built to pass in front of the quads. Construction in the 1930’s reflected a style called art decor, characterized by its round edges. Also in the 1930’s, many of Schofield’s fields and streets were named to commemorate outstanding military leaders including Generals Henry Butner and Harry Bishop, Colonels Wright Smith and George Stoneman and Lieutenants William Sills and Guy Benson. The transition by the War Department from the square division to the triangular division allowed for the formation of the 24th and 25th Division at Schofield Barracks on October 1, 1941. Only ten weeks later, Japanese attack aircraft flew over Schofield Barracks, where they “warmed up their guns”, on their way to bomb Wheeler Field and Pearl Harbor. The 24th and 25th Divisions were deployed to the north and south shores to defend against further attacks. The 25th Infantry division traces its lineage to the Hawaiian Division, which defended Hawaii since 1921. On December 7, 1941, the 25th Infantry Division received its debut of fire when Japanese forces attacked military facilities on the island of Oahu. The division without delay deployed to southern and eastern coasts of the island, ready to defend against a possible Japanese invasion. The division was made famous after relieving the U.S. Marines at Guadalcanal in 1942. Due to their superior performance during this operation, the 25th Infantry Division earned its nickname: “Tropic Lightning”. The idea for the “Kunia Tunnel” came after the December 7, 1941 attack on Pearl Harbor. Fear of a repeat-attack prompted the Army and Navy to plan a less vulnerable, under-ground complex, designed as an aircraft assembly and repair plant. The storage facility envisioned within the “tunnel” was said to be capable of handling B-17 heavy bombers. Called “The Hole” by locals, this huge complex was built in the pineapple fields south of Wheeler Field and Schofield Barracks. Construction on the 23 million dollar under-ground tunnel complex began in 1942, and was completed in late 1944. The facility is not a true tunnel, but a free-standing three-story structure that was later covered with earth. The facility was constructed as an open bay area, without interior cement blocks. The outer walls are composed of reinforced concrete and dirt. It is approximately 250,000 square feet in overall size, with 30,000 square feet used for power generation and air conditioning. The remaining 220,000 square feet were available for assembly of folded winged aircraft. Access to the structure was by means of a quarter mile-long tunnel, at the end of which were elevators for the different levels. Two elevators serviced the field station — one capable of accommodating four 2 1/2-ton trucks or “an average size four-room cottage”. For passenger service, another elevator was provided with a carrying capacity of 20 persons. It even had a cafeteria that could turn out 6,000 meals a day. Huge air conditioning and ventilating systems ensured a constant flow of fresh air drawn from the open countryside. Some idea of the size of the building may be gained from the fact that it took almost 5,000 forty-inch fluorescent tubes to light the facility. There is no historical evidence to suggest the field station was ever used for aircraft assembly. During the last stages of the World War II, the 30th Base Engineering Battalion used the tunnel for topographic work involving Japanese held islands. At the end of WWII, the tunnel facility was turned over to the Air Force. Up until and during the Korean War, Schofield Barracks facilities were under utilized while mainland facilities were overrun with draftees. In 1951, a basic training center was established for replacement troops. The 25th Infantry returned to Hawaii in 1954 to add to the population of Schofield Barracks. The additional troops and families presented a demand for more facilities, to include a new commissary, noncommissioned officers’ club and the first elementary school. The tunnel facility was kept in a reserve status until 1953, at which time the Navy assumed control and used it for ammunition and torpedo storage. According to an article published in the Honolulu Star Bulletin, the Navy announced on June 28, 1953, it would convert the bunker into a secret facility. A local construction team was awarded the contract for $1.7 million to revamp the facilities. When the initial renovations were completed in the early 1960s, the Commander in Chief, Pacific Forces, used the complex as a command center. In 1966, the facility was hardened against chemical, biological and radiological attacks. In 1976, the Fleet operations center was moved to another location and the tunnel was turned over to the General Services Agency for disposition. Among other suggestions, the GSA recommended the underground facility be used for a laundry plant or hospital. The GSA also received recommendations to close the facility or “mothball” the tunnel for an indefinite time. In the 1970’s, upgrades of facilities could be seen all over Schofield Barracks, to include commissary, youth and child-care, and restaurant facilities. The post stockade was closed in 1977 and was used as a Correctional Custody Facility until November 1990. H-2, the highway connecting Schofield Barracks to Honolulu, was also completed in 1977. By the early 1980’s, Schofield Barracks was well populated and the largest post operated by the U.S. Army outside the continental U.S.